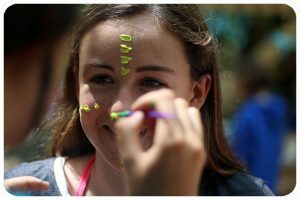 For over 80 summers campers return to Quinebarge to become CITS (counselors in training). Our counselors in training dedicate their summers to learn how to be a great counselor. 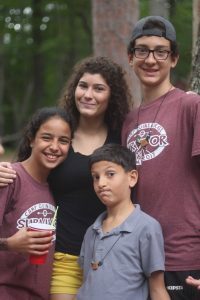 They learn how to work with kids in different roles at camp. These roles include: coaching sports, lifeguarding, teaching arts and crafts, ropes training, leading day hike trips and running a night activity. 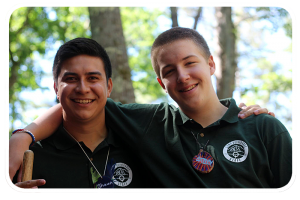 CIT’s constantly tell us that working at camp gives them the upper hand on a college application because they know how to effectively communicate, work hard and have been trained to be leaders. While you are not fully considered a staff member at Quinebarge as a CIT you will be treated as one. We fully train our CIT’s throughout the summer to handle any situation that can and will happen when working with kids. 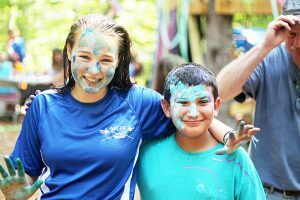 Our CIT’s will work in all aspects of camp and learn truly what it is like to be a counselor. With that, we give our CIT’s constant feedback and reviews. Quinebarge finds that preparing our CIT’s for a real on the job feedback is key to becoming a great counselor. Colleges like students that are able to take feedback and use it to become a better student. While being a CIT at Quinebarge you will learn to work as a team. Our CIT’s train together and work together to become better counselors. Every year at Quinebarge our CIT’s do a big project and leave their mark on Quinebarge for forever. These projects range from making our gaga pit to turning a canoe into a garden. Our CIT’s say how important it is on their college applications they write about these projects and experiences when talking about a challenge or a time they needed to work as a team . One of the main goals of the summer as CIT is to become the best counselor you can be but don’t worry we will be there to help you the whole way Quinebarge. CIT’s will be out in positions to lead morning and evening activities while being supervised by the Directors of Quinebarge. This makes for great in the job training. There are a million ways kids can spend their summers. One is getting a internship which would consist of fetching coffee and making copies. As a CIT you will have fun, make incredibly tight friendships and build a range of marketable skills that will make your college application stand out.